PORTLAND, OR, 1/24/2018 — The highly anticipated REDLANDS, VOL. 1 by the bestselling, two-time Eisner award-winning Jordie Bellaire and critically acclaimed Vanesa R. del Rey will launch big on Wednesday, April 4th—with an additional, exclusive, signed edition for Independent Bookstore Day available on Saturday, April 28th. Bookstores interested in submitting Independent Bookstore Day orders must do so by Friday, February 2, 2018. 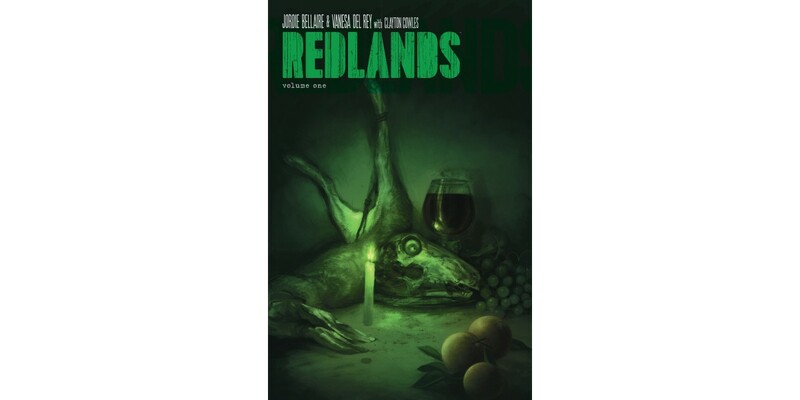 REDLANDS, VOL. 1 "Independent Bookstore Day" Exclusive cover (ISBN: 978-1-5343-0821-3). It is available for pre-order on Amazon, Barnes & Noble, Books-a-Million, IndieBound, and Indigo.